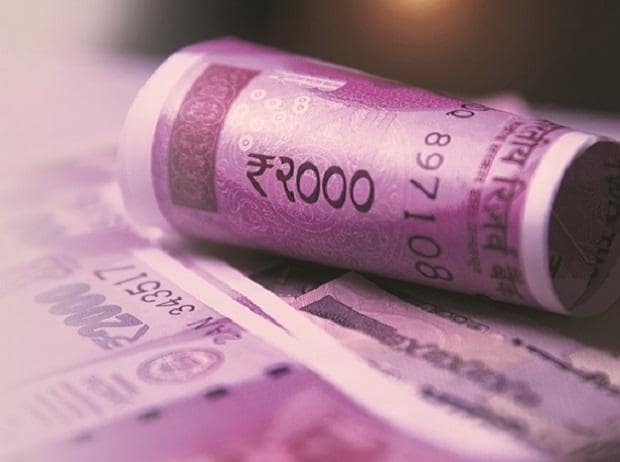 The Indian currency opened above Rs 70 and remained above that crucial threshold value during the trading day, according to data from Clearcorp Dealing Systems. It dropped to an all-time low of 70.40 per dollar (intra-day) on continued foreign fund outflows, but recovered later. In addition to the turmoil on the international currency markets, weak data for the Indian trade in goods also created sentiment in July, foreign exchange traders said. The trade deficit grew to $ 18 billion in July, from $ 16.6 billion in June, partly due to the higher import charge for oil. "Things do not look good for the rupee," said Abhishek Goenka, chief executive officer, India Forex Advisors. Emerging markets contagion, worry about current account deficit and weakness in yuan probably weigh on rupee. The current imbroglio in the political space will cause volatility, depending on the direction in which the rate of the dollar-Turkish lira moves, said Madan Sabnavis, chief economist, CARE Ratings. "A value of Rs 69 / $ should be the balance, based on expected fundamentals in the rest of the year," he said. This is based on the expectation of higher deficits on the trade balance and the current account, but higher invisible and better foreign investments (both portfolio and direct) and maintenance of external commercial loans, he added. The falling rupee was no cause for concern because it went back to its natural value, said Rajiv Kumar, deputy chairman of NITI Aayog. "The rupee rose by about 17 percent in the past three years. Since the beginning of this year, it has decreased by only 9.8 percent. So it has been restored. It rather reflects its natural value, "he said. The rupee must be valued realistically and should not be overvalued, he said, adding that the exchange rate is a price that would reflect a true balance between supply and demand. One should not think that the appreciation of Rupee is a sign of a good economy, he added. 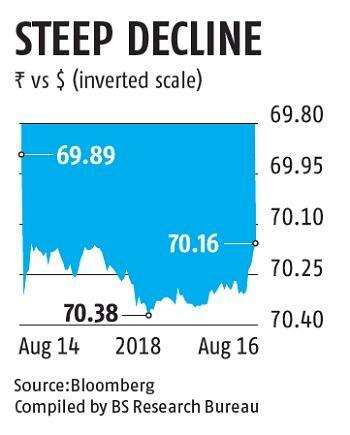 ICICI Bank said in a note that the storm on the foreign exchange market, especially in currencies of emerging countries, unlikely to decline too quickly. The monetary policy of the US Federal Reserve and the European Central Bank has clearly shown that liquidity will be tightened up, which could become even clearer by the end of 2018. Improvement in US fundamentals and a faster tightening by the Federal Reserve have led to the strength of the dollar, which has exacerbated the stress of the increased dollar debt in EMs. Since the beginning of this year, has dropped by only 9.8 percent, so it's recovered, it's coming back to its natural value, "he said. The rupee must be valued realistically and may not be Overvalued, he said, adding that the exchange rate is a price that a true balance between supply and demand reflects, one should not have the impression that Rupie's appreciation is a sign of a good economy, he added. Bank in a note said the storm on the foreign exchange market, especially in currencies of emerging countries, is unlikely to decline. "The Goldilocks scenario in Emerging Markets (EM) categorized by low global interest rates, low inflation and ample liquidity has witnessed a reversal in recent months, with the revival of the strength of the dollar being the largest. risk for EM assets, "the note says. The monetary policy of the US Federal Reserve and the European Central Bank has clearly shown that liquidity will be tightened up, which could be more pronounced by the end of 2018. Improvement in US fundamentals and a faster tightening by the Federal Reserve led to a rise in strength in the dollar, exacerbating the stress of the increased dollar debt in EMs.